As part of the federal government remains closed this week, more people are feeling the impact around the country. Federal employees and contractors say they are worried about money or the delays the shutdown could cause their work. Businesses say shuttered federal agencies cause delays. And tourists in Washington were met by locked doors instead of access to museums. Here are some of the stories from people who say they have been impacted by the government shutdown. Darryl Burton, an investigator with the U.S. Postal Service inspector general’s office, said it’s been hard to pay all the bills during the holiday season. He said the family has been making arrangements to pay their bills and working with creditors to pay the minimum on loans for his son who is in college. “It’s been very tough on us as a family, certainly having to supply and having to meet the needs of my family, paying mortgage and paying all the bills that we have to pay. It’s been a little bit strenuous during this holiday season and going into the new year,” he said. 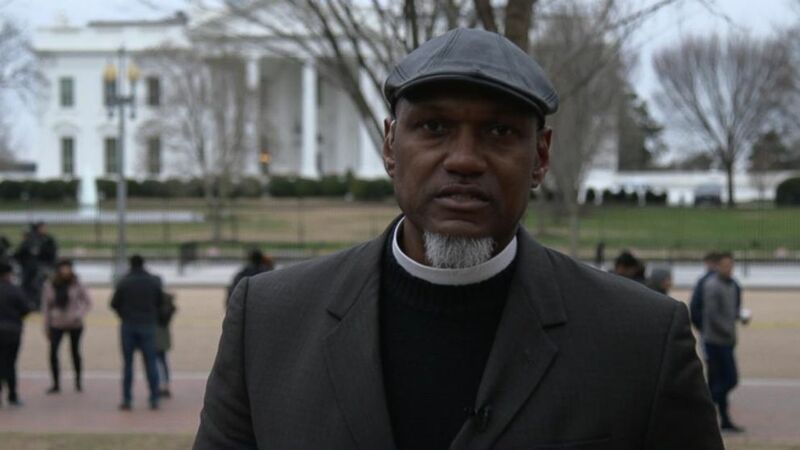 Despite those challenges, Burton said he’s optimistic and held a prayer circle to end the shutdown outside the White House on Wednesday. Around the country, people whose salaries are paid with government contracts are sent home without pay during a shutdown. Unlike government employees who can get back pay approved by Congress, these federal contractors are paid through private companies and have no recourse from the time they’re out of work. Julie Burr works as a contractor for the Department of Transportation in Kansas City. She says she’s worried about paying her bills during the government shutdown. 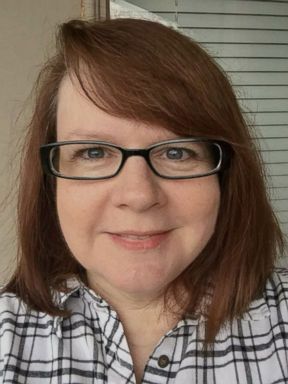 Julie Burr, an administrative assistant for the Department of Transportation in Kansas City, said she doesn’t expect any compensation for the time she’s been out of work during the shutdown and that she can’t even get paid for the two weeks before it started because there’s no one to process her time sheet. She said she’s taken extra shifts in her side job as a seasonal employee at Barnes and Noble but it only makes up 25 percent of what her normal pay would be and she’s had to ask for an extension on her rent payment, which was due on the first of the month. “I’m a single mom … we aren’t a two income family or anything. It’s just me, and I’m kind of trying to make things meet and if it comes to the point of selling items in the house I’ll do that,” she said. The shutdown caught some tourists by surprise. ABC News spoke to over a dozen tourists who found themselves unable to go to Smithsonian landmarks on Wednesday. Nicklas Skar, a Swedish native, came to Washington on Tuesday night with his daughter. He said they planned to go to the Smithsonian on Wednesday morning in the last remaining hours before the end of the shutdown. “We came down here for just a couple of days to visit the Smithsonian’s and a lot of other stuff as well, so of course its a disappointment,” he said. Skar like many tourists said they found themselves adjusting plans and standing on the outside looking into the empty, dark windows of the Smithsonian Air and Space Museum and other landmarks like the Washington Monument, Capitol building, and White House. 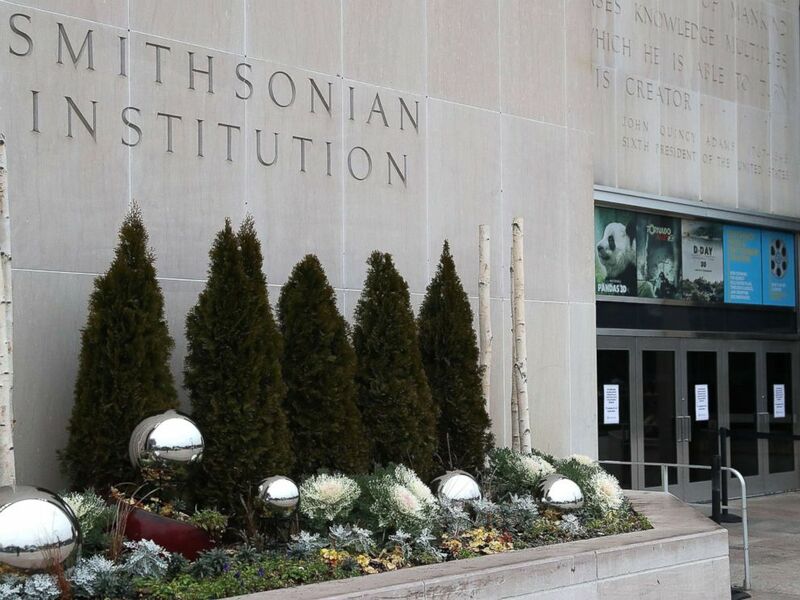 Signs are placed on the doors of the Smithsonian National Museum of American History stating that the museum is closed as the partial shutdown of the U.S. government goes into the 12th day, Jan. 2, 2019, in Washington, D.C.
Across the street from the locked National Zoo in Washington, the owner of a kosher bakery says the shutdown is very stressful for her business and she’s missing out on foot traffic that brings customers in the door. “When the zoo is closed they don’t come, it’s hard for us but I still honor my commitment to pay my staff… all of my expenses,” Yael Krigman, owner of Baked by Yael, told ABC News affiliate WJLA. Vendors on the National Mall also said they are seeing fewer customers than they normally would during the already-slow January. Kim Tran, 65, is the primary breadwinner in her house. She has four children, two of whom still live with her, and also works to support her husband. She’s run her hot dog truck for over 20 years, she said. On New Year’s Day, Tran estimated she made around $50 from 7 a.m. until around 6 p.m. Normally, on a holiday, she expects to make around $200 in sales. No Love Potion Number Wine? Winery owners in Ohio said they’re worried they could lose business if a Valentine’s Day-themed wine can’t be approved by federal agencies. Benfield Wines was set to release Love Potion Number Wine and sell it online, but they need the government to approve the label. Owner Robert Benfield told ABC News affiliate WTVG they won’t be able to put it out in time because of the shutdown. “We’re a small business. This is what we rely on and it’s a big deal. I don’t think sometimes they think about those things when they make decisions that effect us on the lower end of things,” Julia Benfield told the station. It was midday on Wednesday — and still she had made no sales. Jung, 58, has worked for nearly 20 years shuttling between different tourist destinations in the nation’s capital selling sweatshirts, snow globes with the presidential seal and decorative plates adorned with the U.S. Capitol. 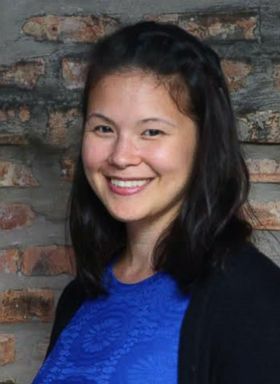 Even though winter is a slow time for tourism in the District, the government shutdown and subsequent closing of all 17 of the city’s Smithsonian museums, which are world-class and free to the public, had drawn business to a halt, said Jung, who asked to only use her first name to protect her business. “This is particularly slow. This is winter break,” Jung, gesturing to the fellow vendors on an abnormally quiet block of 15th street just outside the White House. “Everybody’s concerned about this situation,” she said. Jung has been following the news in hopes of more details on when the government will reopen, she said, and remains unsure on the politics surrounding the shutdown – specifically President Donald Trump’s border wall, which the president has demanded funding for despite pushback from Democrats. Betrothed couples in the Washington-area posted they were unable to get marriage licenses during the shutdown. The marriage bureau in the capital is part of the D.C. Superior Court system, which is funded through congressional appropriations like much of the city’s budget. The D.C. court website says the Marriage Bureau and some other offices are closed during the shutdown, though court hearings and the clerk’s office is open. Mayor Muriel Bowser plans to sign emergency legislation to allow the city to issue marriage licenses during a shutdown, her chief of staff John Falcicchio told ABC News on Wednesday night. “Just like the Grinch can’t steal Christmas, the shutdown can’t stop love,” he said in a statement. One couple that got married over the holiday posted they “can’t call it official” until the government reopens. Loreen Targos, an EPA scientist and steward for her local union chapter, said environmental cleanup or protection projects will be delayed because of the shutdown. She said EPA staff can’t meet with partners to design projects to clean up environmental contamination or prevent future environmental problems. “When we lose weeks like this we have to catch up and there’s just huge delays in projects, and taking them into the next year or after,” Targos said in a phone interview Monday, adding that it’s impossible to know the extent of the impact until long after the shutdown ends. She said all Americans are hurt with projects intended to protect health and the environment are delayed, but it will be impossible to know the impacts until long after the shutdown ends. Targos said she and other EPA workers are passionate about protecting Americans from environmental issues before it becomes a problem, and because of the shutdown they’re unable to do that. “People feel like ‘I don’t know how this impacts me,’ that’s because we were doing our job,” she said. ABC News’ Cheyenne Haslett and Beatrice Peterson contributed to this report.